Coming soon: Dancewave’s Dancing Through College & Beyond! It’s nearly October, which means we are less than a month away from Dancewave’s Dancing Through College & Beyond! This two day event provides access to high school students considering dance in higher education. Prospective college dancers have the unique opportunity to meet with over 40 college dance programs nationwide, under one roof, for FREE. Additionally, high school seniors have the chance to audition for 15+ schools, with a registration fee of only $10. Friday night, DTCB will host a reception featuring work from select college dance programs. Saturday’s activities include a panel discussion, peer-to-peer sessions, a college fair, movement classes, and auditions. This year’s panel, Careers in Dance, will highlight career pathways in dance that are less than traditional yet more than successful. The panel will address the stigma of having a career in dance and a “backup plan” through a Q&A with icons of dance administration and advocates of dance in higher education. Peer-to-peer sessions are a chance for students to speak with current college dance students, asking them everything from “how did you decorate your dorm?” to “how many hours a week do you rehearse on average?” The peer-to-peer session is immensely important for prospective dancers to get a glimpse of an average day in the life of a Dance Major. The college fair, with over 40 colleges registered, provides parents & students the opportunity to speak with current faculty & staff from each dance department. Select faculty from participating colleges will teach a movement class to prospective college dancers as a master class. This year, at least 15 colleges will also take part in the audition process. Many participating schools will also use this as an audition for scholarship opportunities to their university! 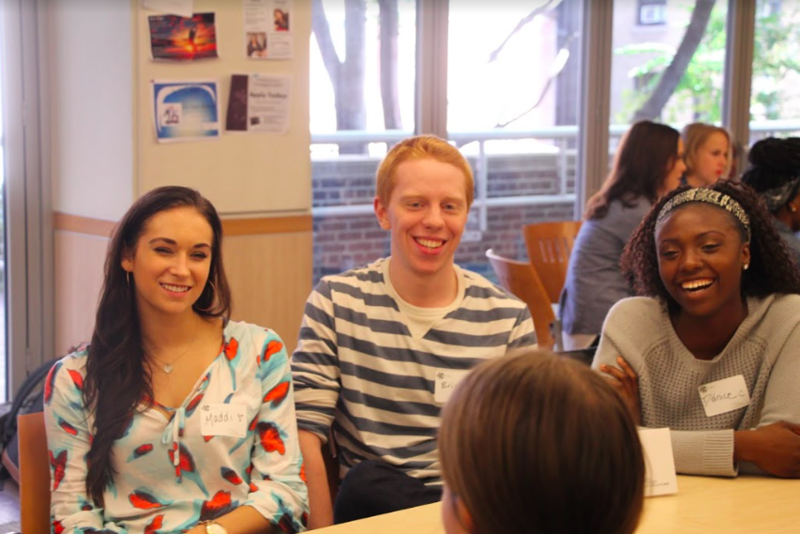 Students engage in peer-to-peer discussions. 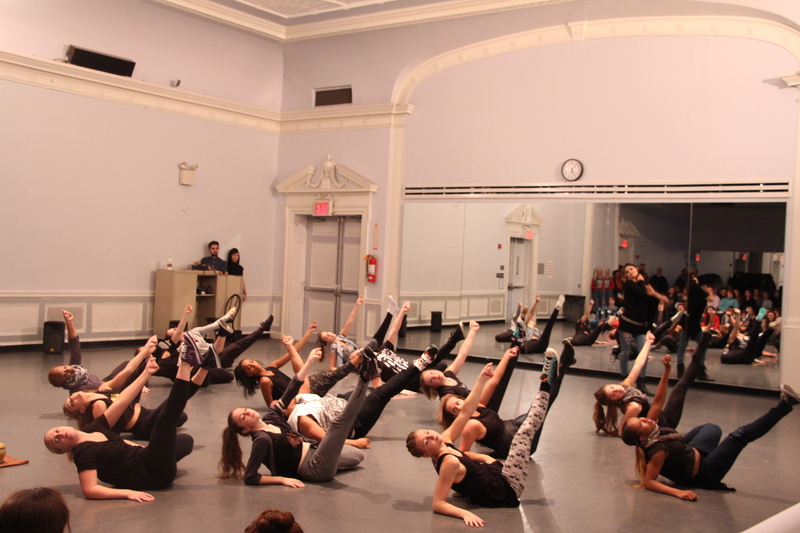 Dancers take class from renowned college dance department faculty members. Dancing Through College & Beyond is an event that furthers Dancewave’s mission to providing access of dance to all. This free event is one-of-a-kind and gathers universities and prospective college dance students from all over the country, including as far as Hawaii! As this event grows, the stigma of studying dance in higher education crumbles, providing dancers with tools not only relevant to their field but also to succeed as a whole. Read about last year’s Dancing Through College & Beyond here. Dancewave wants to extend a special thanks to Dancing Through College & Beyond’s sponsors! Dancing Through College & Beyond is made possible through the support of the Dance Education Laboratory, Dance Magazine, Harkness Dance Center, and New York Department of Cultural Affairs.